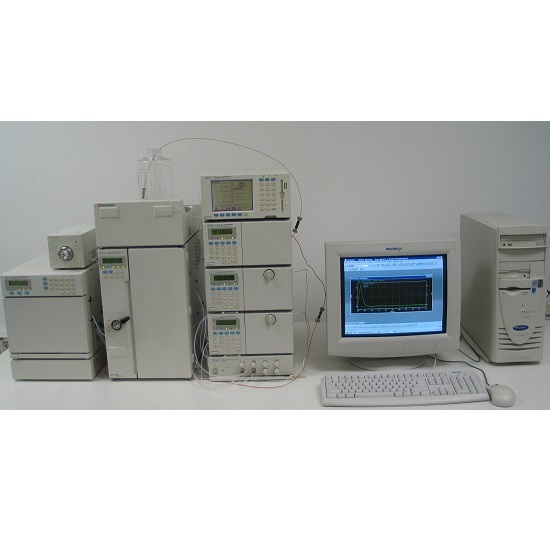 Shimadzu Analytical HPLC System - LabTrader Inc.
Includes: SIL-10ADv Autoinjector for 96 well plates or tubes. 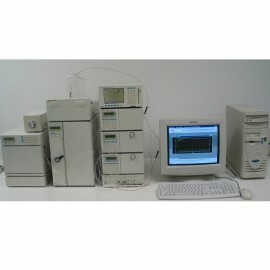 SCL-10Avp System Controller. Two LC-10ADvp LC pumps. SPD-10Avp UV-Vis detector. DGU-14A Degasser. purchased software and laptop computer included. ©2017 www.labtrader.com - All rights reserved.